A few weeks ago I had a problem. The first part of the problem was that my hair was suffering from a build up of stuff I didn't want there and really needed clarifying. The second part of the problem was, as you're probably aware by now, my hair is now red and I'm not sure clarifying shampoos and red hair mix that well. Red is a shade that continues washing out of your hair every time you wash it (seriously, it's like the shower scene from Psycho) and I didn't want a clarifying shampoo to strip all of my colour out. What I really wanted was a sulphate free, colour protecting, clarifying shampoo. Does a product like that actually exist? Nope, not a chance! It's hard enough finding colour protecting shampoos that are sulphate free. I tweeted asking for suggestions and a lovely blogger who works for The Body Shop suggested their Rainforest Balance shampoo. This obviously doesn't tick all three boxes but as well as being clarifying this is also sulphate free, so I thought this is probably the best I'm going to get. It may not be colour protecting (I don't think a clarifying shampoo could ever be colour protecting) but at least there's no sulphates in their to contribute to fading my colour. This is a slightly unusual one because you do really need to read the instructions on how to use it to know how to use it properly. If you apply this straight to your hair you'll struggle to get it to lather, but the directions tell you to lather it up in your hands before applying to your hair. You still won't get an amazing lather, but it's better than applying it straight to your hair. The first time I used this I was a bit too cautious and managed to completely miss the worse patch on the side of my head. The second time I really went for it. I did use quite a lot and really got my fingers in there and gave my hair and scalp a good scrub. Yes this did completely knot my hair up but I just applied some conditioner to smooth it out afterwards and it wasn't a problem. My hair is only shoulder length though so this might be more of an issue for longer hair. The second time I was so happy with the results. My hair was finally clean and it was also soft and kind of light and bouncy. I also didn't notice that this particularly striped out any more colour than would normally come out when I wash my hair. I wouldn't use it too often, but then I would only use a clarifying shampoo as and when required anyway. This is a shampoo for oily hair, which I most definitely suffer with, but it didn't make my hair last any longer between washes. I've never tried a shampoo for oily hair that has though. My hair decides how long it wants to last between washes (it does vary between one to three days if I'm lucky) and there's not much I can do about it! Although it's possibly not the easiest shampoo to use it does what it needs to do and does it well and for £2 for 60ml and £4.50 for 250ml it's quite reasonably priced too. 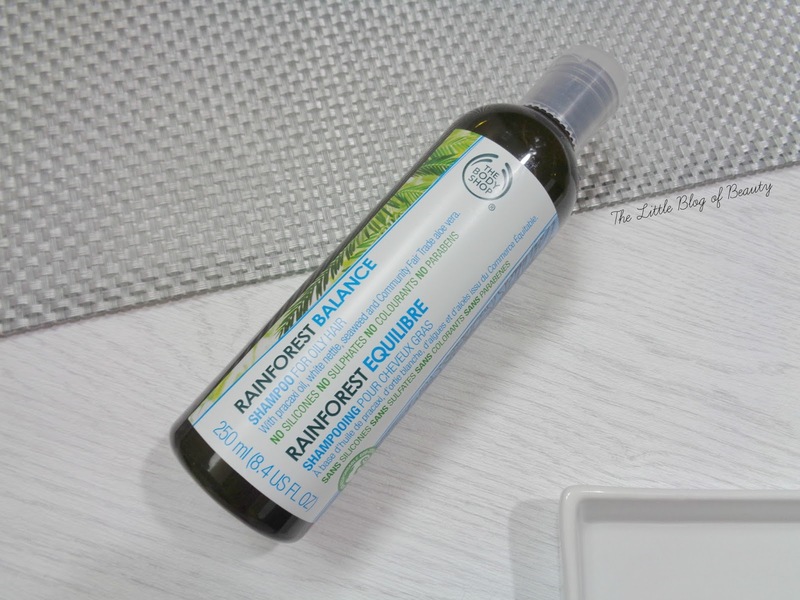 You can buy the Rainforest Balance shampoo in The Body Shop stores and online. What's your favourite clarifying shampoo?